Enjoy our relaxed atmosphere: about 50 persons can stay in the beds of our eleven differently designed rooms. So we are a good address especially for people travelling on their own or in small groups and looking for room to sleep. 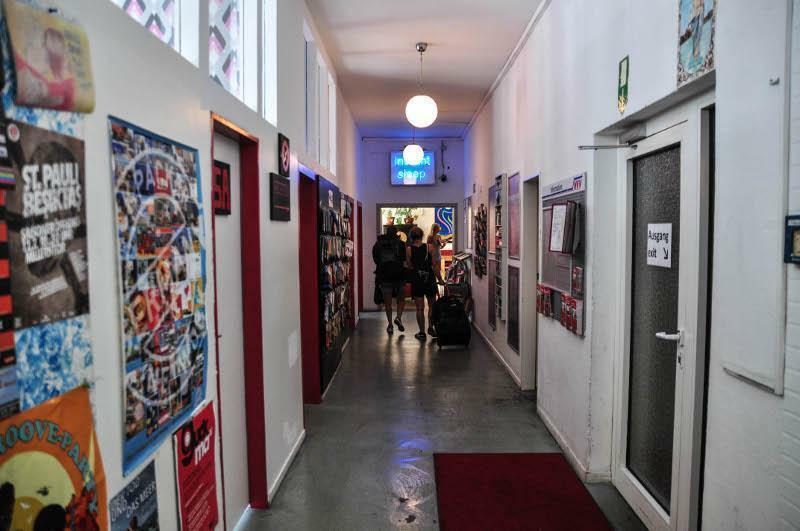 We are a classic backpacker hostel: with colourful, but simple rooms, a well equipped kitchen and communal bathrooms on the corridor. 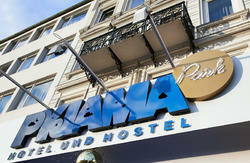 The hostel's heart is our lounge: here you can relax and meet other guests. Do you want to be able to cook your own meals? And have good conversation with your fellow travellers? You've come to the right place! There's a communal room where you can eat, drink and play games with others. We don't provide breakfast but you're welcome to cook in our fully-equipped kitchen. We have free coffee and tea! Please note that there will be a 'cultural tax' on accommodation in hotels from the 1st of January 2013. The Senate of Hamburg has not decided about the amount, yet. We will have to increase the price for accommodation accordingly. Tax will be paid upon arrival. There's two bars below the hostel so it can get pretty lively around here, but there's no curfew! 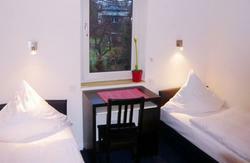 Take the shuttle to 'Hamburg ZOB', which is two minutes walking distance to Central Station in Hamburg. Take the subway S11 in the direction of 'Altona/Blankenese', S21 in the direction of 'Elbgaustrasse' or S31 heading to 'Altona' and get off after two stops at 'Sternschanze' station. Walk in the same direction as the train arrived in the station, leave the station and go straight ahead. At the first crossing turn left onto 'Altonaer Strasse'. After two traffic lights it will become 'Max-Brauer-Allee'. Go straight on and we are number 277 on the right hand side of the street at the crossing with 'Schulterblatt'. The reception is on the 1st floor. The entrance to the staircase is between snack bar and sauna.